Despite its name, EUCasino is an online gambling platform that welcomes players from all over the world. Their brand enjoys worldwide popularity and is available in multiple languages and currencies. With that being said, EUCasino puts a lot of effort into appealing to casino players from the UK, as it is one of their main markets. They offer special bonuses and promotions to their UK customers, alongside great support and a massive selection of games. EUCasino has a tough set of UK competitors. But do they have what it takes to become a favourite in the UK? Read our EU online casino review and find out. EUCasino advertises their welcome bonus as a 100% deposit match bonus, only instead of the usual bonus money, players who decide to deposit will get bonus free spins. The casino offers up to 50 free spins on the popular Spina Colada slot game. Even though this bonus might not be among the best ones around, it’s a very unique and interesting offer, as this 100% deposit match spins bonus is unlike any other available online. 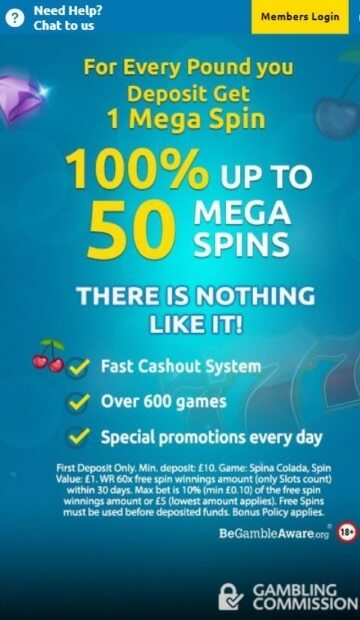 For every pound the player's deposit, they will get one free spin. This means that players who want to take the most out of this 100% deposit match offer need to deposit £50. Of course, this is completely up to them on how much they wish to deposit. This deposit match offer is available to any new player who makes a deposit of at least £10 after signing up with EUCasino. Claim the free spins and start playing! The regular promotions available at EUCasino are just as unique as their welcome bonus offer. The casino doesn’t use a promotions system like other online casinos. Instead, EUCasino has a ‘Daily Picks’ section, where players can choose between several featured promotions. The promotions change up every day and sometimes even every couple of hours. This just makes the entire system much more fun. Players get to try out a new bonus offer every day and never have to experience the boredom of waiting for weeks or months for a new deal. What’s particularly useful about their bonus system is that players are not only able to see the active promotions, but upcoming ones as well. This gives them a lot of flexibility and allows them to plan ahead and pick accordingly, depending on which promotion they want to claim. Since EUCasino is mostly based around online slot games, the promotions also revolve around a similar theme. Players can find deals like special spin packages, free spins for making a deposit, cashback bonuses and even raffle bonuses, where they can sign up and earn raffle tickets to some really incredible casino prizes. Additionally, the casino also has a ‘Rewards’ feature, which holds a number of lucrative benefits for players. There isn’t anything that users need to do in particular to earn a reward, they just need to keep playing, and the casino will notify them when they have an exclusive reward waiting for them. EUCasino offers games from various casino software providers including NextGen, WMS, NetEnt, Amaya, Evolution Gaming any many other providers, so players are guaranteed they’ll find a game that they like. Their game library is divided into several game sections. This allows more convenient browsing and makes it easier for players to find the game they’re looking for. EUCasino offers a completely instant-based online casino platform. However, players can download a desktop program directly from the casino's homepage for a more streamlined experience. Although primarily focused around slot games, EUCasino features a solid selection of roulette and blackjack games, and even some less-known casino games like Punto Banco. EUCasino also offers over a dozen progressive jackpot slot games. Their most popular progressive jackpots include the Mega Moolah, Mega Moolah Isis and Mega Fortune slot machines. There are no secrets on how to get in the EUCasino VIP club since players become VIP members the moment they sign up with the casino. New players are awarded a Bronze tier status and can progress through six VIP levels by playing at the casino and earning Comp Points. Every time players progress to the next VIP tier, they’ll get a level up bonus and certain special benefit that is tied to the specific VIP level. Player will really be able to feel all of the benefits the EUCasino VIP club has in store for them upon reaching these levels. These executive VIP levels give out better bonuses, cashback deals and promotions. They also offer exclusive luxuries like personal account managers, invitations to world-renowned events and massive monthly free bonus rewards. Live casino games are the second most popular genre at EUCasino, and for a good reason. EUCasino offers a really immersive live casino experience, courtesy of NetEnt and Evolution Gaming. The quality and quantity of live casino games at EUCasino are pretty phenomenal, to say the least. There are a large number of variations to popular casino games like roulette, blackjack and baccarat. EUCasino offers an excellent atmosphere and environment to live casino players. Furthermore, the NetEnt and Evolution Gaming platforms differ from each other just enough to provide two very different experiences, different dealer styles and game types. Due to the sheer variety of games and the reputation of featured software providers, we can say that the EUCasino live casino platform is one of the best ones around and is a perfect place for any online player looking for a high-quality live casino experience. EUCasino accepts a wide variety of payment methods. Players can choose between all of the usual banking options available in online casinos, including PayPal. PayPal casino deposits is the safest payment method. PayPal is one of the most popular payment method among online casino players. The majority of payment methods allow a minimum deposit of £10 per single deposit. It’s also important to keep in mind that some payment methods charge a certain fee on every deposit, so players should be careful when making their deposits. We’ve also received information from casino representatives that EUCasino doesn’t set maximum limits on deposits. This means that its all up to the players to set their deposit limits by adjusting settings on their player profile. The table below includes other important details about EUCasino payment methods. EUCasino is fully optimised to work on all mobile and tablet devices powerful enough to run browser-based mobile apps. 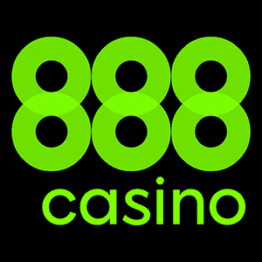 UK players can access this portable version by typing the casino's website address. They’ll automatically be redirected to the mobile version of the website and can start playing at the casino using all of the same features that are available to desktop users. The presentation and design of the mobile website are done in a simple and straightforward way, although there are some changes that need to be made. The changes mainly regard the casinos instant-play platform, which can be unreliable and unstable at times. 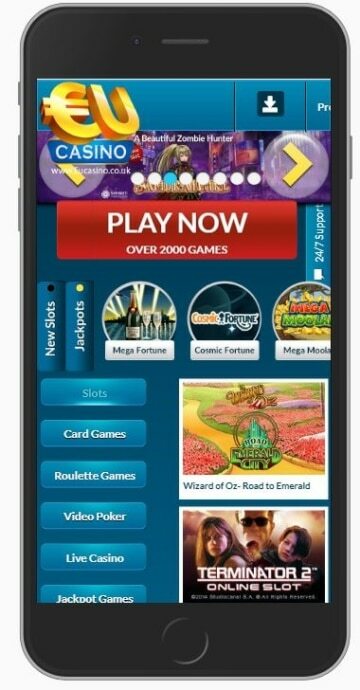 The overall experience of gambling on the EUCasino mobile website is solid, though we would like to see native apps sometime in the future. EUCasino offers an excellent customer support system for its UK players. Players from the UK can count on a 24/7 customer support service available through live chat and email support. Live chat is available only to existing players and can be seen only after registering with the casino. It’s also the best way to get in touch with EUCasino representatives. It takes them a couple of minutes to get back with a reply. We contacted their live chat support several times while writing this EUCasino review. We never had any problems getting in touch with casino representatives. The EUCasino FAQ section is a bit harder to find but holds a fair bit of information regarding the basic aspects of the casino. Players can browse through the technical, financial and security details and find almost everything without even having to contact the EUCasino customer support team. UK players can enjoy a safe and secure gambling experience at EUCasino, as this online operator has all of the necessary licences required to operate in the UK. They hold a valid licence from the UK Gambling Commission, the most reputable regulatory authority in the world of gambling. EUCasino also holds a licence through the Malta Gaming Authority. Their website also holds several certificates, most notably from iTech Labs, an independent company that tests the randomness and fairness of casino games. Players can access settings by clicking on the ‘Personal Area’ tab and selecting the ‘Player Limitation’ option under account settings. There they can find a set of carefully crafted tools that allow them to pick an exclusion method if they feel like their gambling is getting out of hand. In the same section, players can set their deposit limits and set daily, weekly or monthly limitations for their deposits. Players can also get in touch with multiple non-profit gambling support organisations, such as BeGambleAware and GamStop. Even though EUCasino might not have the best bonuses and promotions in the business, their loyalty rewards scheme and quality customer support service provide more than enough reasons for players to keep coming back to this online casino. Their website is licensed by the most reputable authority in the industry. They are secured and tested by several top online security companies. They have a huge library of games that includes casino, live casino and other games. EUCasino are definitely one of the most entertaining casinos in the industry. Overall, EUCasino is a good choice not only for UK players but for all online casino enthusiasts around the world. Is there a EUCasino welcome bonus? EUCasino offers a very interesting and unique welcome bonus to all of their new members. The EUCasino welcome bonus is a 100% deposit match bonus up to 50 Mega Spins. The spins are worth £1 per spin, so for a maximum bonus deposit of £50 players can start off with 50 free Mega Spins. The minimum deposit required to trigger this bonus is £10. Yes, EUCasino players from the UK are completely free to use PayPal for depositing or withdrawing money from their casino accounts. PayPal is a very popular payment method for online casino players because it allows them to make instant deposits and fast withdrawals, without any additional transfer fees or hidden costs. Is EUCasino safe for UK players? EUCasino is a very safe and trustworthy online operator. They are licensed by the UK Gambling Commission and meet all of the required criteria for operating in the UK. Players can also rest assured knowing that the website is secured by state of the art SSL encryption and holds several certificates from independent betting organisations.